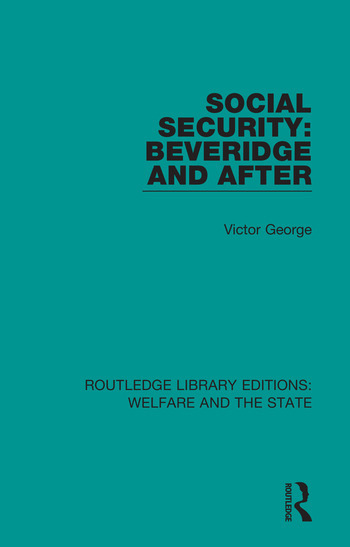 Originally published in 1968, Social Security: Beveridge and After concentrates on the development of social security in the U.K. since the Beveridge report. The book looks at the system of Social Security, since it was unified with the Ministry of Social Security, and looks at the extent to which the original proposals of Lord Beveridge have been modified over time. The book adopts an interesting, functional approach to addressing the acts and regulations that have been implemented, and clearly brings out the essential principles and elements in this complicated field of social provision.